I’d like to think that I was ahead of the curve in feeling embarrassed by Malcolm Gladwell, but I’m probably not. As a writer, he so perfectly exemplifies the middlebrow that I’m pretty sure he’s attracted criticism almost from the moment that he started. The common criticism of Gladwell is not just that he tells comforting, oversimplified fables about how the world works (if you work for 10,000 hours, you’re guaranteed to master something!) but that he also, supposedly, derives these fables from reading academic research and talking with experts. When you read him, you feel smart. You feel like you know something that other people don’t know. But you’re actually just getting the same old conventional wisdom. That’s the essence of the middlebrow. All of these criticisms are succinctly made in this New Republic review that I just found. 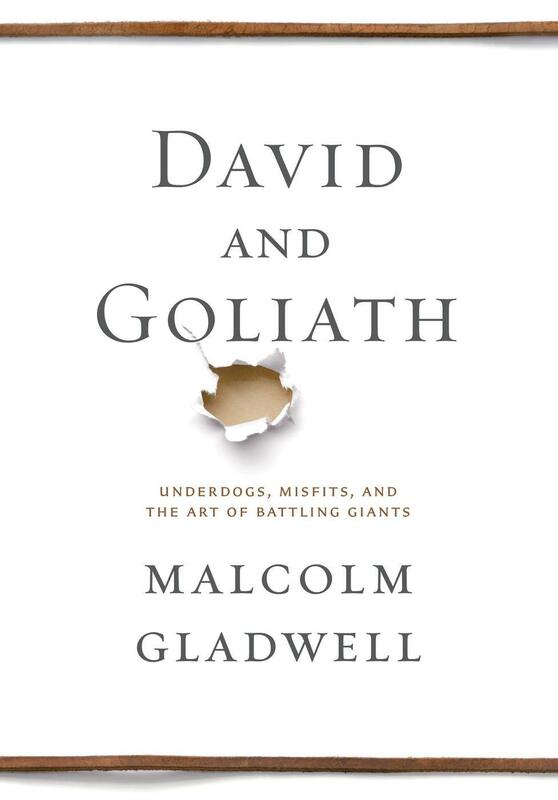 Despite all of that, I still read and enjoy Malcolm Gladwell’s work. As I’ve noticed before, he has very good storytelling instincts. And in his latest book, David and Goliath, he’s learned to weave these stories together into an impressionistic masterpiece. Within one chapter, he’s able to skip around between gang violence in New York to the Troubles in Ireland to Martin Luther King and then go back and forth and all around. It’s amazingly fun. The whole book is about how people (or organizations, or civilizations) can beat those who are stronger than them. Actually, I’m not sure that’s what it’s about. The book might also be about how people are destined to beat those who are stronger than them? I’m not sure. It seems like the book often says that strength is a weakness and weakness is a virtue. That’s the problem with Gladwell. He takes tiny tendencies that might have a little bit of truth to them…and then turns them into prophecies. For instance, he says that because African-Americans have been oppressed, then they were fated to conquer oppression. His argument is that, like, because they’ve already suffered so much, then nothing could scare them, and that’s why they won in the end? This is obviously nonsense. If that was true, then why couldn’t they stave off Jim Crow in the 1800s? Why couldn’t they capitalize on initial victories in the 1920s? The truth is that the strong are, well…they’re strong. Weak people and teams and nations can win, but it’s not particularly easy. But there are still some great stories in there! I particularly like the one about the heartless cancer researcher who lost his father at a young age, and then grows up to, basically, torture the kids in the leukemia ward as he tries to figure out cures for their diseases. The researcher Jim Freirich does things like put them on cocktails of debilitating chemo drugs and continue chemo for a year even after they’re cured and take painful bone marrow samples without anesthetic. But he wins in the end! And it’s all because he was so heartless! (As a result of losing his father). Now, can Gladwell prove the heartlessless leads to progress connection? No. Is that even a real connection? Probably not. But it’s still a fun story! The Veronica Mars movie is really not very good.